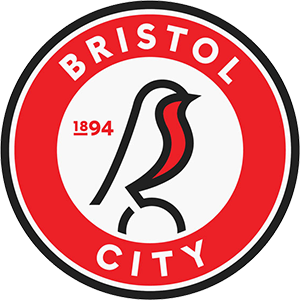 Bristol City vs QPR predictions ahead of this Championship clash on Tuesday night. Will the Robins add to their winning streak on midweek? Read on for our match preview and free betting tips. Another win at the weekend kept Bristol City flying high in the Championship table. They remain in the top six, after becoming the first challenger to rise up and break the monopoly which was building at the summit. They took Derby County out of the playoff picture, but staying ahead of the Rams will be tough. With the two sides locked on 50 points, the hosts can ill-afford a slip up when they host QPR at Ashton Gate in midweek. Ahead of a massive few days for Lee Johnson’s side, can they keep their momentum chugging along? The hosts are looking towards a crucial few days. 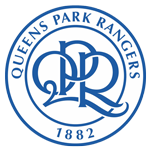 First up, they are going up against QPR in the league with ambitions of staying in sixth. A few days later, they are back at Ashton Gate for another test of their Premier League credentials. Top flight side Wolves are heading here on Sunday, as the pair fight for a spot in the last eight of the FA Cup. That’s a huge day on the horizon for the hosts, but they need to keep their focus on a meeting with a side who recently flirted with the playoffs. Steve McClaren had got QPR into the fight for the playoff spots, making a surge from the depths of the table to land just outside the top six. However, they were unable to break into sixth, and since their form has tailed off and sent them back down the table. Like the hosts, QPR are back in FA Cup action soon. However, their Friday night clash with Watford is likely to be more of a concern, especially with the hosts now down in 15th with little to play for in the league. QPR have done well in the cup, but they’re without a win in their last six matches in the Championship. They come into this clash following a poor run on the road, which has seen them fail to win their last four in all competitions, including back to back losses on their travels in the league. Overall, they’ve lost seven times in 15 away trips, suffering a loss in four straight league games. The hosts have won six on the bounce in the league, going 12 games unbeaten. They’ve won five in a row at home in all competitions, racking up eight consecutive wins overall. That fine form should continue here, we see the Robins are excellent value to gain another three points against the struggling Rs. Having won three of their last four meetings with QPR, the hosts are our pick to win Tuesday’s game at Ashton Gate. QPR’s last five away Championship scorers have all been different players (Wells, Leistner, Freeman, Eze, Samuel). QPR boss Steve McClaren’s two Championship meetings with Bristol City have seen his sides concede three goals in each (Derby 3-3 Bristol City in 2017-18, QPR 0-3 Bristol City in 2018-19).